Apranga, the largest clothing retailer in the Baltic states, part of the MG Baltic group controlled by Darius Mockus, on Thursday opened the first Oysho store in the Baltic states, informs LETA/BNS. The Oysho brand is part of the Spanish Inditex group. The 340-square-meter store was opened at Akropolis mall in Vilnius, Apranga announced by via the Nasdaq Vilnius stock exchange. 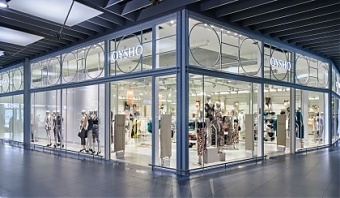 The Oysho chain in the Baltic states will be developed by the Apranga group following a franchising agreement with Inditex. With its entry into this new market – Vilnius - Oysho now has a total of 674 shops worldwide, 190 of which are in Spain. Oysho is present in more than 54 countries.